The Robert Young Clone 17 Chardonnay put us on the map. We now produce three distinctive, estate-grown Alexander Valley Chardonnays, ranging from aromatic and bright style with minimal oak contact to a rich and tropical style with extended French Oak aging. Robert Young was one of the first to plant French Dijon Chardonnay clones in Alexander Valley. After many years working with many different clones, Robert decided to create a hybrid clone, taking the Dijon Clone of France and combining it with the Wente Clone found here in California. 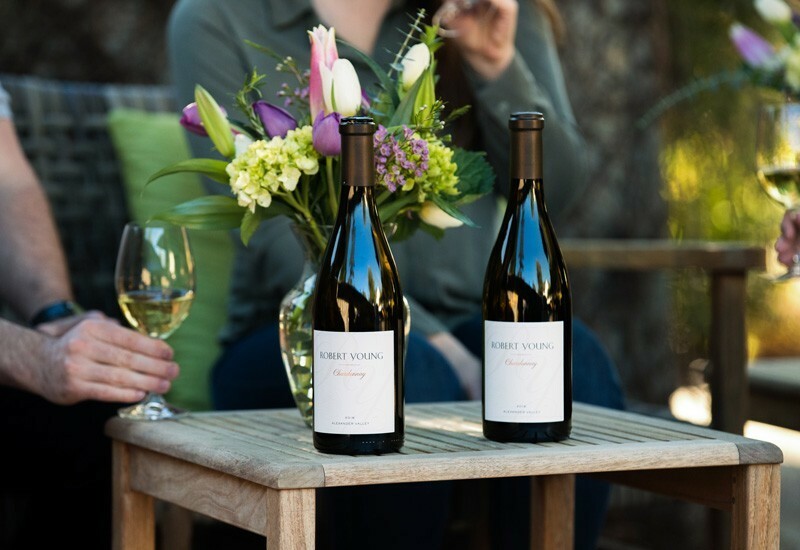 The resulting Robert Young Clone 17 Alexander Valley Chardonnay is a distinctive clone that has many positive attributes including: lifted aromatics, rich textural body and flavor intensity. We currently make three different estate-grown Chardonnays, all with distinctive flavor profiles achieved from clonal selection, site specificity, winemaking techniques, and barrel treatment. Our Estate Block 27 Chardonnay is a special single block for the winery, comprised of Clone 17 Chardonnay that Robert Young developed in the 1980s. It is one of our earliest ripening and high quality Chardonnay blocks on our ranch. 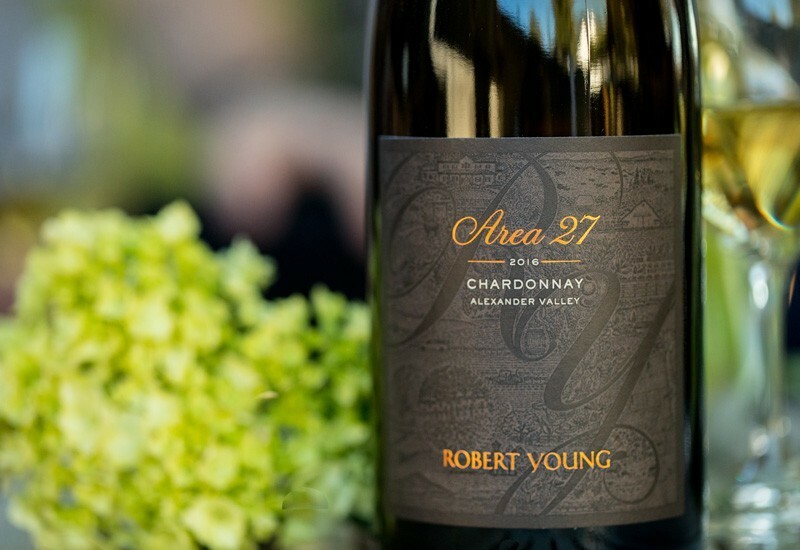 Area 27 Chardonnay is aged for 14 months in 5-6 year-old French oak barrels, along with a small portion in cement eggs. The resulting wine is focused on fruit and mineral taste components, with stone fruit and lean tropical flavors throughout the palate. Our Alexander Valley Estate Chardonnay bottling is the most popular Chardonnay we produce. The fruit for the wine is pulled from five of the best Chardonnay blocks on the ranch, giving it a broad range of rich, bold flavors. 100% French oak (typically 35% - 38% new) provides a rich, velvety palate that matches well with seafood, chicken and pork dishes.